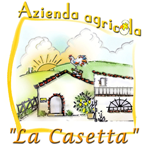 Allergens: Può contenere tracce di grano/glutine. 1 package - Yellow organic chickpeas, variety "Sultan". They are an excellent source of folic acid and potassium, magnesium and theay are rich in iron and phosphorus. Theese legumes are more versatile; You will serve as an appetizer, or you can use them to prepare tasty soups and as an accompaniment to many dishes. Delicious cold salad or mashed. 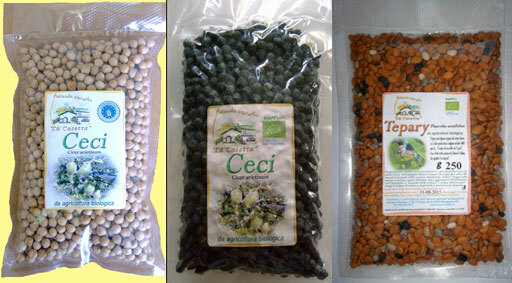 1 package - Blacks chickpeas, They are a variety native from Cassano Murge (Puglia), in Italy. They Have a rough skin and the dimensions are larger than common black chickpeas and they have an intense flavor, velvety, reminiscent of the chestnut. The are high in protein and nutrients. These chickpeas have black skin, while the inside is yellow. They are an excellent source of folic acid and potassium, magnesium rich in iron and phosphorus. Legumes are more versatile; You will serve them as an appetizer, or use use to prepare tasty soups and as an accompaniment to many dishes. Delicious cold salad or mashed. All of them are certified organic! If you like to leave a comment you must log in as a user (login). The minimum purchase is 15 €. Secure payment with credit cards and paypal. Express Shipping with tracking code.